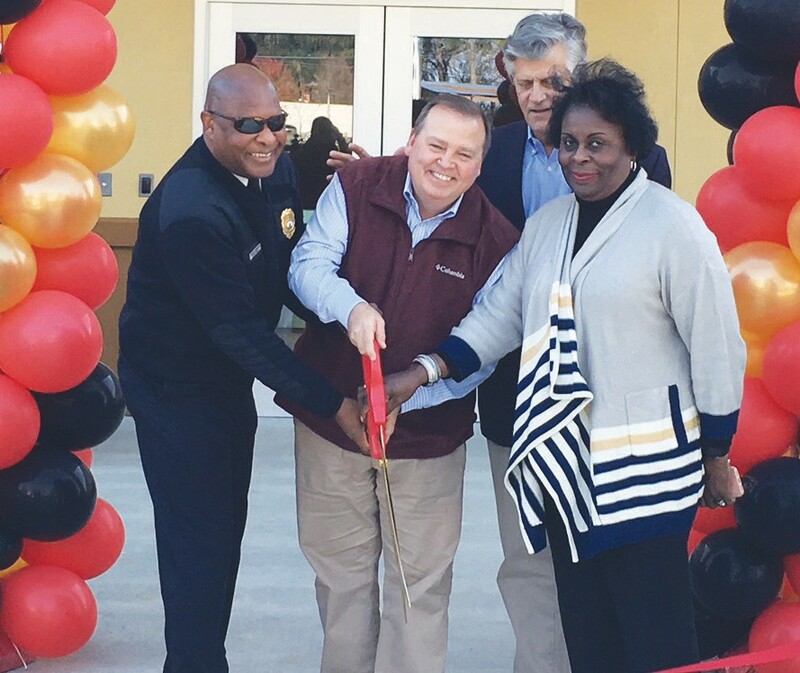 The City of Savannah held a grand opening and ribbon cutting ceremony for a new fire station at the Sweetwater Station subdivision last week. More than 40 community members and staff gathered to celebrate the opening of the fire station. The 9,760 square foot fire station will be the new home for Engine 15 and will replace the temporary facility on Chevis Road. It will serve the Sweetwater Station area and other areas of Southwest Savannah. The building is a replication of a prototype fire station design constructed at the City’s Bradley Pointe fire station. The building includes three apparatus bays, offices, restrooms with showers, sleeping quarters, common areas, and other ancillary spaces. The project also provided site utilities, landscaping, off-street parking and a storm retention pond. The Sweetwater Fire Station was built to also serve as a Critical Facilities as outlined by FEMA. The City plans to use the facility as a southern anchor for disaster events. The Sweetwater Fire Station facility costed a total of $3,3450,000. 83% of the stations total cost was funded through voter approved SPLOST 6 funds. Following the ribbon cutting, firefighters offered tours of the facility and refreshments to guests.